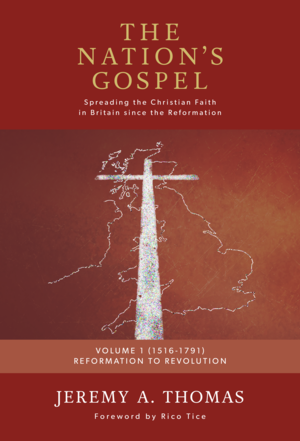 The Nation’s Gospel is a unique four-volume work, which takes the reader on a journey to explore how the Christian faith has been spread in Britain since the Reformation. This is living history, telling the stories of the Christian faith of past generations and its outworking in society, which has much to teach us today. Volume 1 (1516-1791) Reformation to Revolution, traces the stories of faith and the methods used to proclaim it from the beginning of the Reformation, through the persecution under Queen Mary, the Elizabethan Period, the rise of Puritanism and the Civil War to the Wesleyan revival. "This compelling book tackles an enormous subject, covering a major part of the history of evangelicalism in England. In this first volume, Thomas covers church history from..."
© 2019 Wilberforce Publications Limited all rights reserved. Wilberforce Publications is an initiative of Christian Concern.